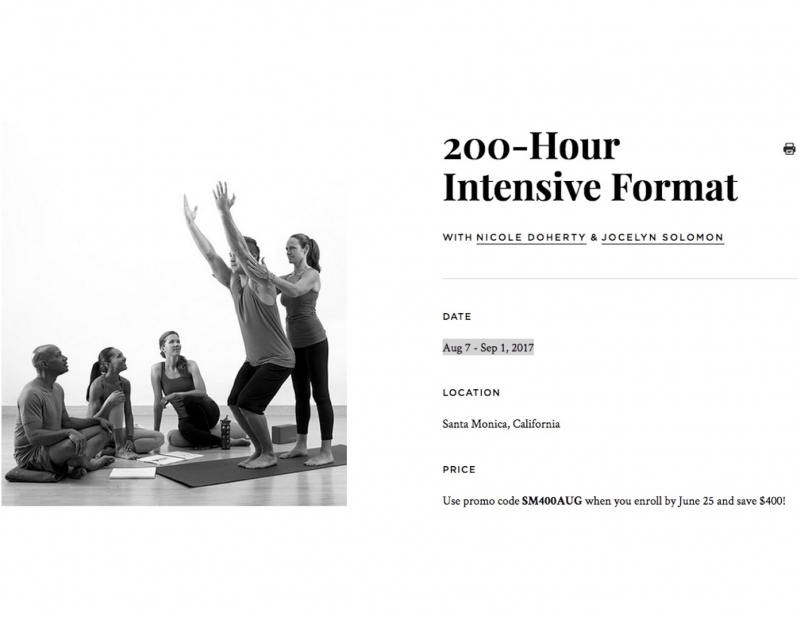 200-Hr YogaWorks Teacher Training (Aug 7 – Sep 1, 2017) with Nicole Doherty & Jocelyn Soloman! 4- week intensive teacher training. Join Nicole Doherty and Jocelyn Soloman, two empowerment life coaches and inspiring teacher trainers to hold you accountable to your dreams of transformation. They will hold impeccable space for building great friendships and community and for you to live into your heart’s yearnings. Help them open your authentic voice, reveal your deeper truths and unlock your passions. This training is a game changer! Join them at the FREE class & informational session on Sunday, June 25th. From 2:30pm – 4 you can receive a general orientation/consultation about the training and get your questions answered. CLICK HERE TO RSVP FOR THE FREE SESSION! If you use promo code SM400AUG when you enroll by Sunday, June 25, you will save $400! CLICK HERE FOR MORE ON THE YOGAWORKS WEBSITE.